Today's blog is going to be a review of the Rimmel London 2-in-1 Match Perfect Illuminating Concealer & Highlighter, but obviously you knew that by the title. I wanted to do a review on this as it's such good quality and so cheap too! 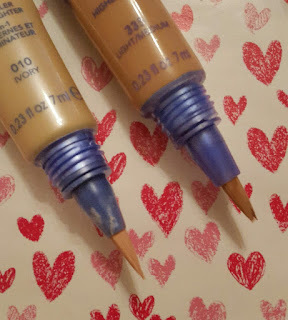 I discovered this a couple of months ago and I now wear it nearly ever single time I do my make up, and I have noticed that other concealers do not compare to this one. I don't really like wearing this as a highlighter for my upper cheek bones but I do really love using it on the sides of my nose, my under eyes, my chin, and on any spots here and there on my face. Product Description: skin tone adapting concealer. 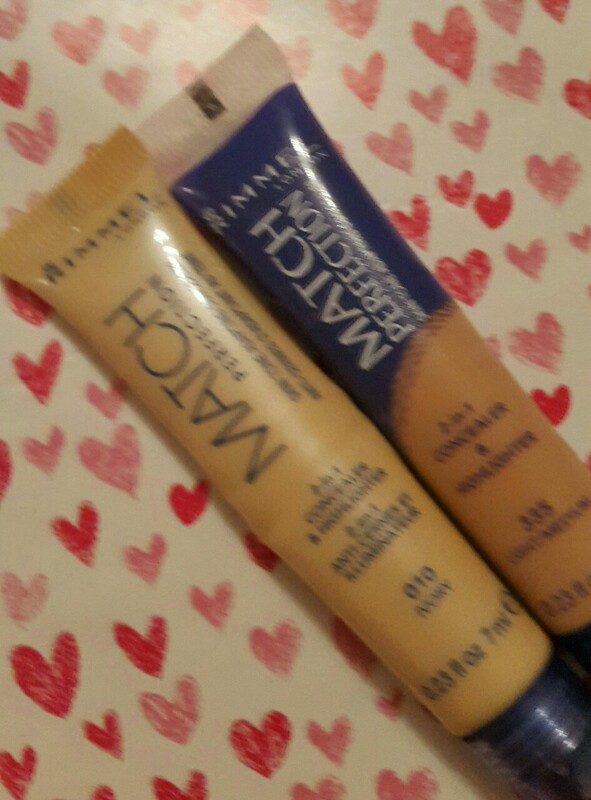 2 in 1 concealer and highlighter in a clever tube with an application brush. Banish signs of fatigue and illuminate the eye area. With an oxygen complex. Lets skin breathe. What I really love about Rimmel London 2-in-1 Match Perfect Illuminating Concealer & Highlighter is not only is it so affordable but it applies so smoothly, it's creamy, covers up my dark under eye beautifully without moving at all and it is suitable for dry skin (like mine) without me looking so flaky at the end of the day. I will say that I really do wish it didn't come as a squeezy brush applicator as it's rather unsanitary, I'm someone who really likes cleaning my make up brushes a lot so not being able to clean the brush properly isn't great but that really is just a personal preference. Another bad thing about Rimmel London 2-in-1 Match Perfect Illuminating Concealer & Highlighter is that there is only three shades available which means a rather bad limited shade selection. 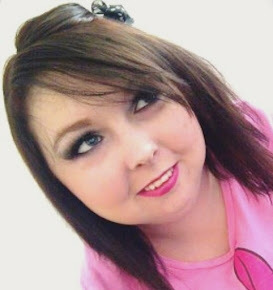 I have such pale skin - Snow White would be jealous of my paleness! I use shade 010 in the Rimmel London 2-in-1 Match Perfect Illuminating Concealer & Highlighter and it is a really amazing blend to my skin. I love it. I did use 020 when I had a spray tan a while back which was great too. I really would suggest trying this product to people, as it's really helped me out a lot. 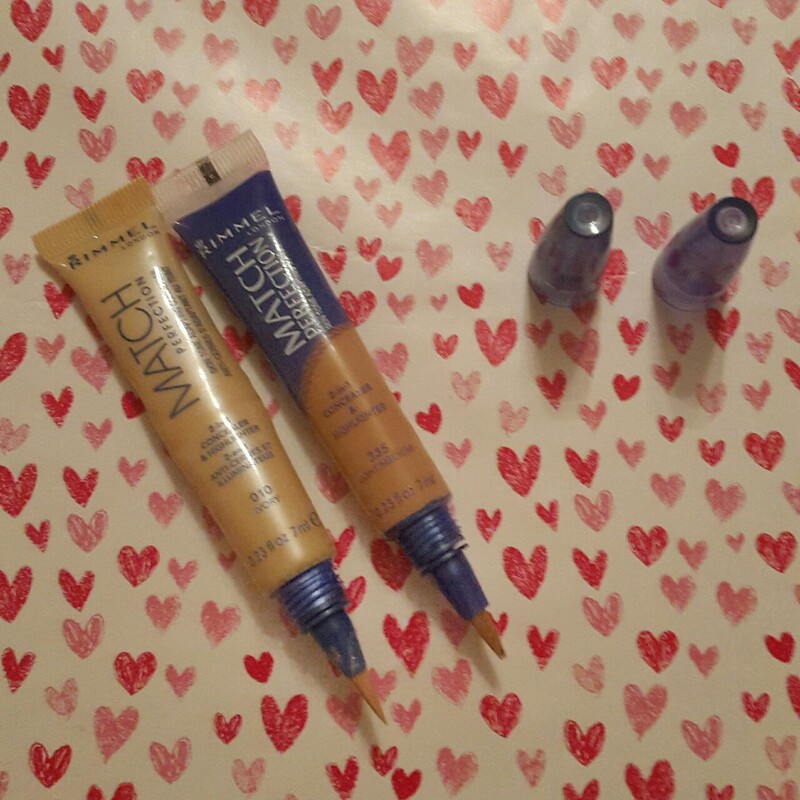 You can buy Rimmel London 2-in-1 Match Perfect Illuminating Concealer & Highlighter from Boots, Superdrug, and Beauty at Tesco for only £5.99. At the moment Boots have an offer on their Rimmel London range of products which is 2 products for only £10! I hope you all enjoyed reading this review blog post. If there are any products that you would like me to review then please just drop me a message in my contact box or tweet me. 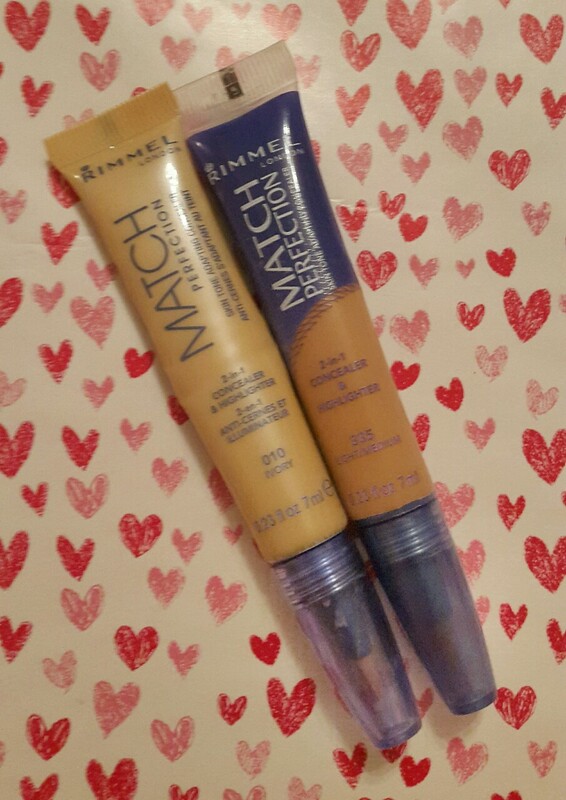 I'd also love to know what you all think of the Rimmel London 2-in-1 Match Perfect Illuminating Concealer & Highlighter, tweet me and let me know?